Arsenal 201 is your destination for luxury apartment living with modern character and historical charm. Our community is situated just four miles from downtown Pittsburgh and surrounded by local shopping, dining, entertainment, employers, and nightlife. Professionals will love our proximity to Uber Advanced Technology Group Offices and Google, two major tech employers in Lawrenceville, just outside of Pittsburgh. Enjoy on-campus events and educational pursuits at the University of Pittsburgh or explore the outdoors close to home; our community is located just minutes from the Allegheny River. Within walking distance of your front door you can enjoy a variety of new restaurant and retail options along Butler Street with local hot-spots like Matteo's italian eatery and Toll Gate Revival antique store. 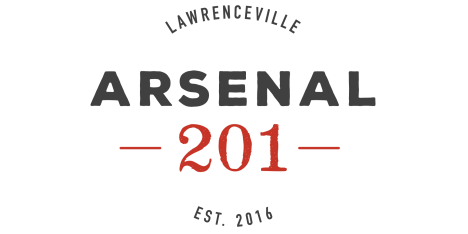 Down the street you can grab a drink with friends at Arsenal Cider House. Live close to it all at Arsenal 201. Stop by today!